Why The Contradictions Of XXXTentacion Are 'Difficult To Square' Music critic Lindsay Zoladz explains how and why music fans are grappling with the art and violent life of Florida rapper XXXTentacion, following his murder. XXXTentacion performs during Rolling Loud Festival in Miami in 2017. The rapper was shot and killed on June 18, 2018. On Monday, June 18, rapper XXXTentacion was shot and killed in Florida. The fallout from his death has been complicated given the rapper's dark past. In 2016, he was charged with aggravated assault and battery and false imprisonment of a pregnant victim. But in the span of time from then until the present, he had amassed a fan base of millions online with his music. 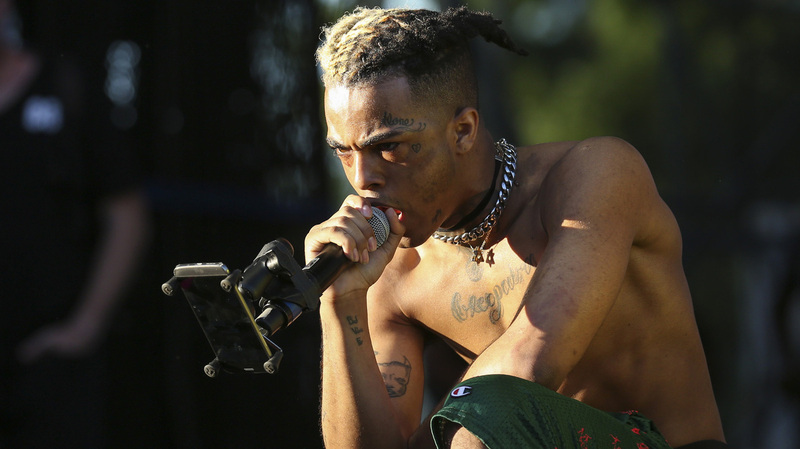 With the release of two albums, XXXTentacion became known as one of the most prominent rappers of the Internet age, and his 2018 song "SAD!" broke the single-day streaming record on Spotify a day after his death. Music critics often mark the death of major artists by evaluating their public and private selves, but this artist has sparked some unusually conflicted reflections. Lindsay Zoladz, music critic for The Ringer, explains that it was this union of artistic vulnerability and infectious melody and production that resonated with so many young fans. "There's a real pop sensibility," Zoladz says. "He had a sense of melody that was a way to package these darker themes he was exploring in a way that would stick in your head." But what's dividing many people in the wake of the rapper's violent death is how his personal life contradicts his message to his fans. "There's a message of positivity and a message of talking about feelings and depression and anxiety that almost feels like a harbinger of new type of masculinity in hip-hop," Zoladz says. "But then, at the same time, I think that's what made the violent behavior in his personal life that much more disappointing and that much more striking because for someone to be so in touch with talking through emotions on the one side but acting out a classically violent, patriarchal, misogynistic worldview, I think that's the part that's difficult to square." Zoladz notes that XXXTentacion was an artist of his moment in every way, but, like many others, she has not yet found a way to reconcile his legacy in hip-hop given the accusations against him. "We're reckoning with the connection between art and artist in a way that we have not done as thoroughly before and I think, obviously, the #MeToo movement and the social moment that we're living through has a lot to do with that," she says. "So at this moment in time, it feels really difficult to separate the behavior from the art, especially when they do feel in conversation with each other in his lyrics."